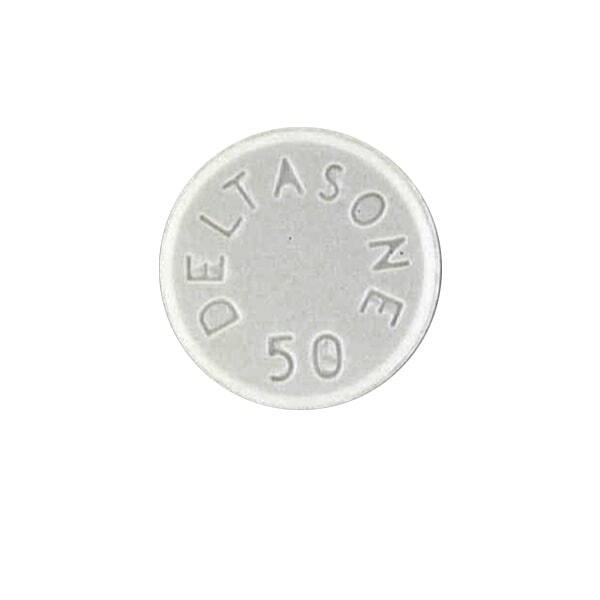 Deltasone is a generic version of Deltasone, which is a medication used for the treatment of conditions like ulcerative colitis, lupus, psoriasis and breathing disorders. Deltasone is an immunosuppressant. It limits the release of certain chemicals in the body which are secreted during allergic conditions. Deltasone may be taken with or without a meal. Store Deltasone in a cool and dark place at room temperature. Do not store it in a place where it can get exposed to direct sunlight or moisture. Before using Deltasone, you should consult a physician and discuss about your medical history. You have depression or mental illness. Deltasone can cause bone loss if your diet lacks calcium or Vitamin D. The risk increases if you smoke. It weakens your immune system so avoid contact with people who have contagious infections like common cold, chicken pox etc. Live vaccines must be avoided while using Deltasone. This includes measles, mumps, rubella (MMR), rotavirus, typhoid, yellow fever, varicella (chickenpox), zoster (shingles), and nasal flu (influenza) vaccine. Deltasone may interact with some medications. So if you are using any prescription, non prescription, OTC medicines or dietary supplements, then inform your physician in advance before you use Deltasone. Sleep problems (insomnia), mood changes; increased appetite, gradual weight gain; acne, increased sweating, dry skin, thinning skin, bruising or discoloration; slow wound healing; headache, dizziness, spinning sensation; nausea, stomach pain, bloating; or changes in the shape or location of body fat (especially in your arms, legs, face, neck, breasts, and waist). These side effects usually subside by themselves in sometime as the body gets used to Deltasone. Blurred vision, eye pain, or seeing halos around lights; swelling, rapid weight gain, feeling short of breath; severe depression, feelings of extreme happiness or sadness, changes in personality or behavior, seizure ; bloody or tarry stools, coughing up blood; pancreatitis; low potassium ; or high blood pressure.